Free Fantasy Baseball Contest - 2018 MLB Opening Day! 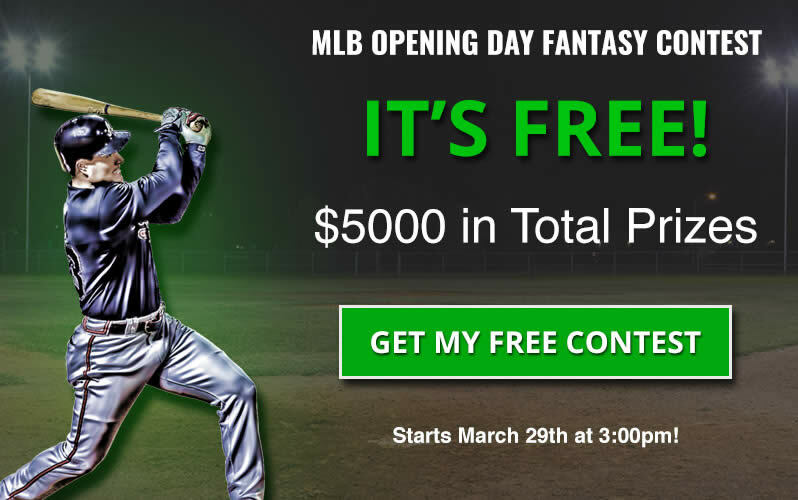 The 2018 MLB Opener is finally here this week and we have an exclusive free fantasy baseball contest to start things right! DraftKings.com is offering $5,000 worth of prizes in a FREE MLB Opening Day Contest. For more details of this great event, simply sign up to DraftKings here and dress your roster in minutes! Join DraftKings right now and get Your free contest entry. Not sure who to dress for your MLB Opening Day roster? Here are some longshot plays who should do well... Dressing at least a couple of fantasy baseball sleepers is key to staying under the salary cap and being able to pick some of the big bats and pitchers. - JAMES SHIELDS (P - CWS) - We love the White Sox on opening day this year in what should be a blowout. Shields is a notorious quick starter and will be facing a much weaker than normal KC hitting team with several of their best players lost to free agency. With so many 1st starters going on opening day, Shields is the best bargain of the bunch. - ERIC HOSMER (1B - SD) - Hosmer will be looking to make a fresh start with his new team on opening day in their home opener. He is a left-handed batter facing a righty in Anderson and will be looking to make a statement. 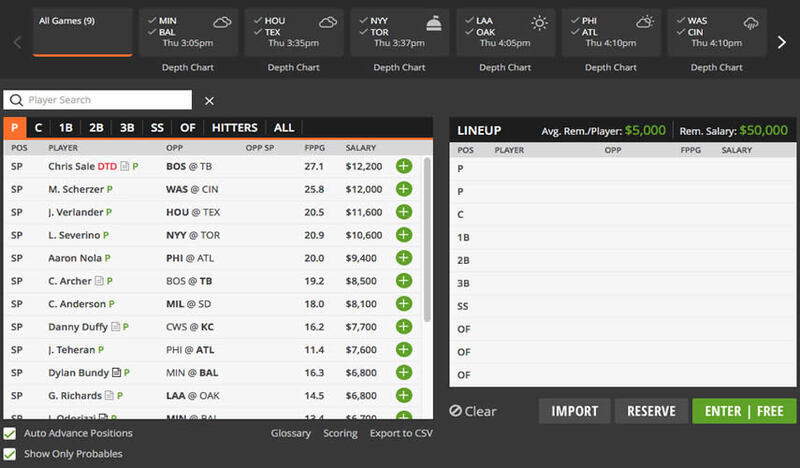 - AVISAIL GARCIA (OF - CWS) - Garcia is priced awkwardly low at most fantasy baseball sites. He is also usually has a hot start to a season and is facing a lefty in Duffy. Garcia should be good for a couple hits including a big fly. - LOGAN MORRISON (1B - MIN) - Logan Morrison is a great hitter going to an up-and-coming Twins team and should fit right in at first base. He will be facing Baltimore and Dylan Bundy in a stadium that favors lefty batters going against right handed pitching. He is a cheap price and should be a star for this Minnesota Twins. Could fit in nicely in the Utility position on your opening day fantasy team. Look no further - You have found the Best Free 2018 MLB Opening Day Contest on the web! Disclaimer: RealMoneyFantasyLeagues has no association with MLB or any other Fantasy Baseball league with respect to games or contest for real money prizes or free or otherwise.